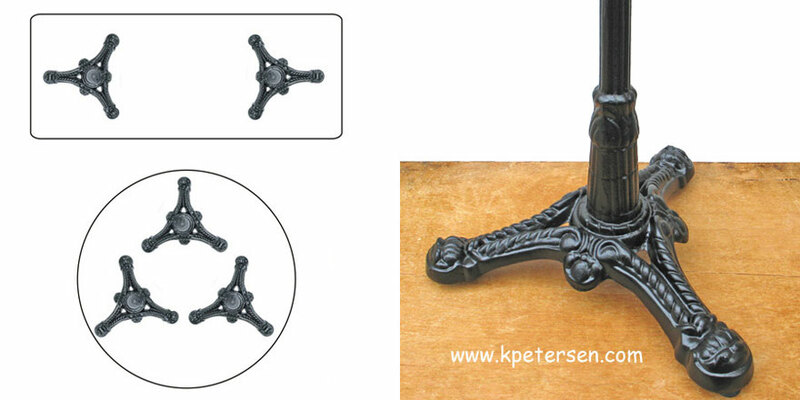 Cast Iron Antique Reproduction Ornate Tripod Table Base. 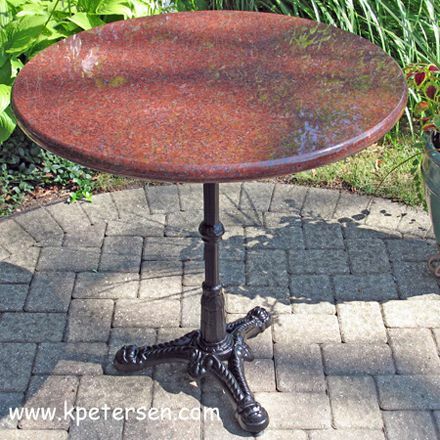 # KV8307 Cast Iron Antique Reproduction Ornate Table Base 29" High. 18" Base Spread, Total Table Base Weight Approx. 29 lbs. 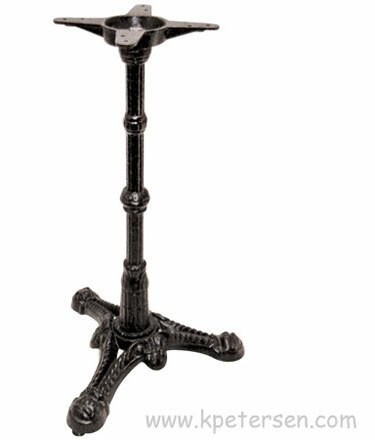 16" Antique Reproduction Ornate Cast Iron Tripod Bar Table Base Measured As If Diameter. Recommended for table top sizes up to 24" X 24" or 24" diameter. Or, use in pairs or groups for larger tops.